This case of Scripture Candy features A delicious, old-fashioned, melt-in-your-mouth soft lemon. Individually wrapped in 1 of 80 different Bible verses. Approximately 35 pieces per bag. 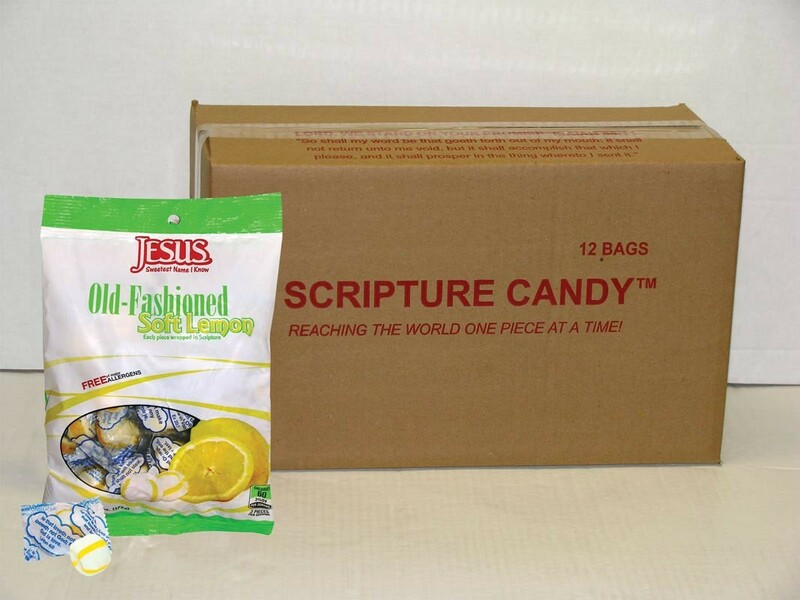 These Scripture Candy Soft lemon Mints are very popular all year long.